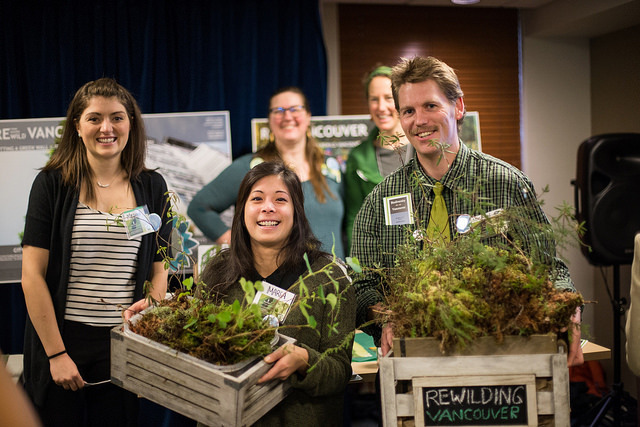 CityStudio Vancouver is an innovative collaboration that brings together City of Vancouver staff, students and faculty from seven post-secondary institutions, and community to co-create experimental projects that make Vancouver more sustainable, livable and joyful. Co-founded by Dr. Janet Moore, Associate Professor at Simon Fraser University’s Centre for Dialogue, and Duane Elverum, a former Assistant Dean and design professor at Emily Carr University, CityStudio is designed to contribute to a more sustainable future through on-the-ground projects that directly support municipal strategic plans. CityStudio works with fifteen existing courses on campus each semester, matching City staff with students to work on real-life projects. Partners currently include the City of Vancouver, Simon Fraser University, University of British Columbia, British Columbia Institute of Technology, Langara College, Emily Carr University and Native Education College. There is also a studio program offered on-site at the hub where students participate in immersive experiential learning focused on high-profile civic projects through SFU’s Semester in Dialogue. All courses at the studio teach hands-on dialogue, design and group processes. Project ideas are sourced directly from City of Vancouver staff to ensure alignment with the City’s strategies and goals including the Greenest City Action Plan, Engaged City Task Force and Healthy City for All Strategy. Through CityStudio, students are provided with the opportunity to develop the skills employers are looking for and pursue a viable impact career in Vancouver, rather than face relocation after graduation. City staff benefit from low risk idea generation and experimentation, reducing the time and money the City needs to dedicate to different priorities. CityStudio also addresses specific challenges universities are facing in regard to student engagement and retention. To date, 4,232 students have participated in CityStudio through both campus and studio courses. They have collaboratively worked on 310 projects with over 208 City staff and 201 faculty. Nearly 100,000 student hours have been contributed in total. Projects have included the introduction of public pianos to the streets of Vancouver, experimental activation of public space in Vancouver’s West End which led to the creation of Jim Deva Plaza, and multiple pilots to divert dog waste from the landfill as part of the City’s Zero Waste goal. Deciding to scale the award-winning model in response to intense interest and feedback, the co-founders created the Art of Cities conference: three days of learning, dialoguing and experiencing ‘the CityStudio Way’ that would enable city teams to implement the CityStudio model in their respective cities. The conference aims to expand and enrich the global alliance of city-university partnerships in Canada and around the world. It is presented as ten modules that include workshops, social engagements, panel sessions and a bike tour along Vancouver’s growing network of dedicated bike lanes. Over the three-day gathering, participants of the Art of Cities have the opportunity to engage in the dialogue process and meet key individuals who champion the model including Vancouver’s Mayor Gregor Robertson, City Manager Sadhu Johnston, Acting Director of the City’s Sustainability Group, Doug Smith, city planners, long-time faculty and alumni of the Semester at CityStudio program. The outcomes for participants include learning key concepts and ways of operating, experiencing the design, dialogue and project process and acquiring tools to begin planning and launching a CityStudio where they live. “It was hugely beneficial to experience the direct support of Vancouver municipal government,” commented one participant. Since the first Art of Cities conference in 2015, six CityStudios or CityStudio-inspired hubs have been implemented across Canada and the United States: Victoria, BC; Brantford, ON; Waterloo, ON; Hamilton, ON; Corner Brook, NS; and, Atlanta, GA. The most recent conference welcomed twenty-four participants from seventeen cities across Canada and the United States, as well as Australia and South Africa. You can read the full conference report including the outcomes and impact. In response to growing interest from cities wanting to adopt the city-campus model, the CityStudio Vancouver team created a “City Readiness Assessment” to understand the current status of a city relative to creating and launching a CityStudio. Points on the checklist include commitment from the Mayor and Deputy Mayor, commitment from university leadership, a keen and committed faculty member, institutional champions, funding plan and a physical workspace. 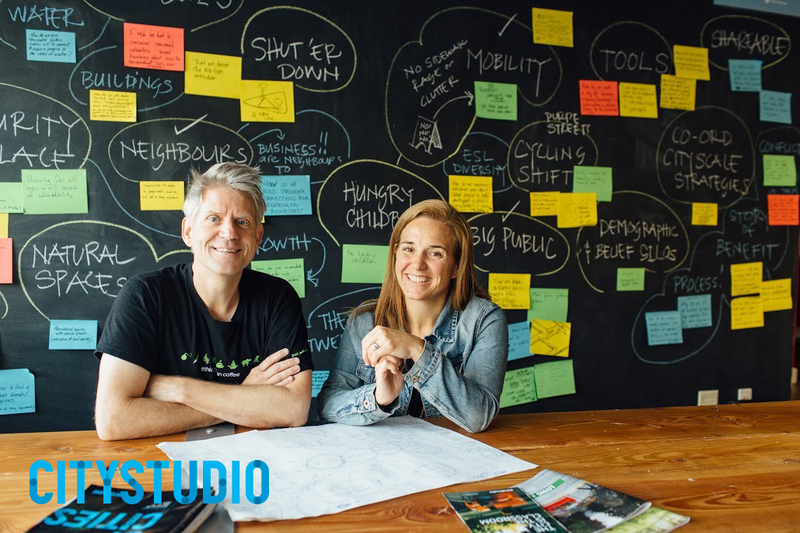 If your city is interested in learning more about adopting the CityStudio model, please reach out to Janet or Duane through the CityStudio Vancouver website and join us in Vancouver for the next Art of Cities conference in May 2018. Rochelle Heinrichs is the Communication and Engagement Coordinator for CityStudio Vancouver, serving as the team storyteller and bridge-builder. She has a background in the social and non-profit sectors and is a past RADIUS SFU Fellow.